Richard J. Ellings is President of The National Bureau of Asian Research (NBR) and Affiliate Professor of International Studies at the Henry M. Jackson School of International Studies, University of Washington. NBR is a nonprofit, nonpartisan institution whose mission is to inform and strengthen policy in the Asia-Pacific. Co-founder of NBR, he has served as the institution’s Executive Director and sits on the Board of Directors. Early in his career, he served as Legislative Assistant in the United States Senate, Office of Senator Slade Gorton. He was the senator’s senior advisor for, and responsible for legislation on, foreign and defense policy issues. Dr. Ellings publishes articles and chapters regularly. His books include Embargoes and World Power: Lessons from American Foreign Policy (1985); Private Property and National Security (1991, co-author); (co-editor with Aaron Friedberg) Strategic Asia 2003–04: Fragility and Crisis (2003), Strategic Asia 2002–03: Asian Aftershocks (2002), and Strategic Asia 2001–02: Power and Purpose (2001); (co-author and editor with Nicholas Eberstadt) Korea’s Future and the Great Powers (2001), and (co-editor with Sheldon Simon) Southeast Asian Security in the New Millennium (1996). He is the co-founder and co-chairman of the editorial board, Asia Policy, 2006–present, he established the Strategic Asia Program, has served as consultant to the Office of the Secretary of Defense, Department of State, Department of Energy, and other U.S. government offices and agencies, and has testified before Congress on U.S.-Asia policy. Dr. Ellings serves as the Executive Director for The Commission on the Theft of American Intellectual Property (IP Commission), as well as the editor of the IP Commission Report (2013) and the IP Commission Report Update (2017). He received the University of Washington’s Distinguished Teaching Award and was a nominee for the same award at California Polytechnic State University, San Luis Obispo, where he taught in 1980 and 1981. 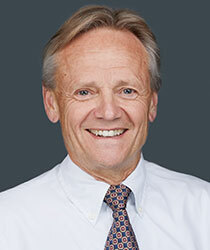 Dr. Ellings earned his BA in Political Science from the University of California–Berkeley, and his MA and PhD in Political Science from the University of Washington. He studied in China as well and his professional activities continue to take him overseas regularly. He regularly is interviewed in the print and electronic media. The Unthinkable with North Korea: A Tilt at the Fulcrum of World Power? Five Chinese Military Officers Indicted. Now What?